Judging others is a controversial subject. Our culture dictates, judgmentally, that we are wrong to critique anything that is different from us. Individually, none of us like the feeling of being judged by other people in the church. And yet within the church, judging can feel like a defining characteristic at times. There are more than a few preachers who seem to define their primary role as offering biblical critique of contemporary culture. They take their stand and rail against this or that issue, and believe that in doing so the church is being salt and light. Perhaps we should see this as the church shooting itself in the foot. Salt and light are positive influences. But this kind of society critique preaching can feel more like acid and bleach. Don’t get me wrong here, I believe there is a place for the church to influence society for good. Yet sometimes the judging tone from the pulpit and in conversation can feel like the complaints about food quality at a restaurant as the guests grumble to each other, but then when the waitress comes to check how things are, everyone smiles and mumbles nice words. Why complain to each other? For most of us, what is preached in our pulpit does not get reported on in the local press. So what effect does our in-church moaning about society have on society? Nothing positive. Any visitors are not going to leave the church gripped by the amazing love that is transforming this community of Jesus followers. They are just going to leave with critique ringing in their ears. It is like coming just inside the door as Jesus was receiving sinners and eating with them, but only hearing the complaints of the Pharisees about his terrible endorsement of societal ills. Jesus responded to these critiques with the parable of the prodigal son. The older brother was lost in his self-righteous rejection of relationship with the father. Yet some believers today seem intent on pressuring society to stop being so like the younger brother and become more like the older brother. The older brother may have never run away, but like the woman’s coin, he was lost right there at home. Even if the critique of the sins of society were, bizarrely, published by the national press and everyone took the complaint onboard and there was a wholesale nationwide transformation in morality, where would that leave us? Exactly the same number of people would still be on the road to hell as before. And perhaps more people would feel self-righteous too! People are saved by the gospel, not by behavior modification. We recently had a discussion about this in our housegroup. In 1 Corinthians 5 Paul explains that the believer’s role is not to judge those outside the church. At the same time, Matthew 18 talks about the lost sheep and clearly affirms the believer pursuing a fellow believer who is destructively drifting in sin. How do we put these things together? 1. If I am sinning, love me enough to pursue me. If appropriate please judge my sin and win me back to a close walk with Christ. That is one important way to love a fellow believer. 2. If I bring a colleague or neighbor to church who is overtly a sinner, love them enough not to make an issue out of their sin. I want them to be won by what they experience of the community of Jesus’ followers, not put off by your self-appointed judgment of their life decisions (they never agreed to be evaluated by your standards). So love the believer and love the non-believer, but do so appropriately in each case. And what do I want the preacher to do? 3. Preach the gospel. Don’t offer a poor after dinner speech about what is wrong with society and how we need to get back to the good old days (because it was so much better when everyone acted like Christians in the past!?) Offer the gospel, that is what society needs. There is more to explore here. For instance, when we “judge” fellow believers, how do we make sure we are loving them rather than legalizing them? How do we make sure we get planks out of our eyes before engaging with the specks in other peoples’ eyes? And how do we keep a gospel tone in any efforts we choose to make to influence society for good? Love seems to be the overriding need here. Loving the lost enough to not critique their life choices, but offering them hope in the gospel to win their hearts. Loving each other enough to be alert to sinful drift and lovingly winning each other back to Christ with a gospel-saturated pursuit. When we let go of love in our pursuit of influence, both inside and outside the church, and choose an alternative tool to try and get the job done, we will always go backwards. Luke knew how to write a Gospel. Okay, all four of them did, but of late I’ve been looking at Luke. I’ve been struck by his personal attributes of tenacious attention to detail and his tender awareness of people. As a physician and man of science he was a diligent researcher who sought out the eyewitnesses and compiled an orderly presentation of what actually happened. And yet as a physician and provider of care he must have been a sensitive listener who cared for the lowly participants in the events and offered a caring awareness of people that could easily have been treated as insignificant at that time. So as I’ve read his Gospel I’ve become aware of his double tendency to offer pairs. He offers pairs of people to corroborate that something was true. He also offers pairs of people to compel the reader to personally feel the truth. So he used pairs to convince, but also pairs to convict. What’s the difference? In Bible world evidence was always considered as stronger if there could be two witnesses to something. With two or three witnesses a matter is established. So Luke was diligent in chasing pairs of eyewitnesses or writing pairs of events that would reinforce the truthfulness of something. You can notice this especially in his opening and concluding chapters. In the birth narrative and in the Passion narrative, Luke piles on the pairs to establish the truth of what happened. Gabriel announced two births, there are two songs of praise in that first chapter, two elderly witnesses welcomed him into the temple courts, etc. And in the passion? Luke offers two pairs of trials (two Jewish and two Roman) with two authorities declaring Jesus innocent (Herod and Pilate), two heavenly portents witness from above to the import of this man’s death, two sets of two men get a close up view of the crucifixion (Simon/Centurion as bookends with the two criminals either side), two sets of eyes observe his burial place, two angels were at the tomb, twice the message of his resurrection was spoken, two sets of eyes came to check the tomb, two people were on the road to Emmaus, etc. But Luke has another tendency when it comes to pairings in his Gospel. I suspect he got this from the teaching of Jesus. Jesus seemed to like pairs and Luke loved to report teachings omitted by the other gospels that feature pairs of characters as a teaching point. Luke likes twos because it not only serves to convince readers of the truth of an account, but also because pairs serve to convict readers of the truth of where they stand before Christ. Think of Mary and Martha – a convicting little account! Then there was a lost sheep and a lost coin, setting up the story of a man with two lost sons. Luke tells us of the Rich Man and Lazarus, as well as two men heading up to the temple to pray. All stories that boil things down to two types of people that offer an enlighting and challenging contrast. So is it accurate to suggest that Luke uses pairs to convince in his opening and closing, but pairs to convict in between? Not quite. Take a look at Luke’s crucifixion narrative. The heart of the account is found in Luke 23:32-43, and there Luke zeroes in on two participants. In the midst of all the noise, the crowds, the soldiers, the mocking coming from all sides, there Luke focuses the reader on two criminals crucified either side of Jesus. Two other Gospel writers mention them, but Luke puts them up front as a feature and then focuses on an interaction between them and Jesus. It is as if he turns the spotlight onto these two so that as we read of Jesus dying we are forced to compare and contrast these two. Matthew is overt that both of them hurled insults at Jesus to begin with, but by the end Luke is clear that they are as distinguished as the two sons of Luke 15, or the two men who went to the temple to pray. One mocks Jesus and implicitly offers Jesus a deal – you rescue us and I’ll treat you as the Messiah. In many ways he is saying exactly the same thing as the crowd around. The religious folks were mocking the notion of Jesus being the Messiah and the secular folks were mocking the notion of Jesus being a king. The cross makes no sense to the people of this world. Furthermore his criteria was clear – you serve my needs and I’ll consider “serving” you. As we head towards Easter this year I am convicted by that contrast. It is easy to slip into the world’s cynicism toward Jesus and the cross. It is easy to start to see Jesus as a heavenly genie in a bottle, a fairy godmother, a butler on high . . . and as long as he blesses me temporally, then I will treat him as significant. May that never be! Peter is a Bible teacher and ministry trainer, based in southern England. His main ministry is as co-director and mentor of Cor Deo, a full-time mentored study and ministry training program. Peter leads the Advanced Bible Teachers Network at the European Leadership Forum. He holds degrees from Multnomah Biblical Seminary (MDiv/MA), and the Doctor of Ministry degree in homiletics from Gordon-Conwell Theological Seminary, where Dr Haddon Robinson was his mentor. For more information on Cor Deo, including the weekly theological blog, please visit www.cordeo.org.uk. Peter also authors the BiblicalPreaching.net website for preachers. and deeper than we’ve ever imagined. Not only are we all guilty before God, but we are also dead-hearted toward God and we don’t have His Spirit uniting us with Christ or with each other. This was not God’s design. He made us to live in the freedom of guiltless fellowship with Him, our hearts being stirred continuously by the Spirit so that our lives might be lived in the abandon of response to the love of God. So the grace of God was the emphasis, referring to the forgiveness of sins and justification. The focus is on the guilt being dealt with because of Jesus’ death and resurrection. Simple trust in his work at Calvary makes it possible to be legally justified. A clear conscious. A record wiped clean. Satan may bring up memories and guilt, but we are free of that if we are recipients of God’s grace. Our “criminal record” before God is such a serious issue, but it can be wiped clean by the grace of God. So what about the rest of the problem? Does this passage only point to the legal, but not the relational problem? This is the fruit of the grace of God at work. It was not merely legal, as amazing as that is. It was relational too. These people who had been dead in their hearts are now filled with the Holy Spirit and their hearts are alive to God with overflowing joy. There is the legal and the relational, the forgiveness and the friendship. That is the grace of God – big enough to deal with the whole problem! I know my tendency is to allow the gospel to reduce to a merely legal and forensic offer. If I am witnessing to someone else or preaching, I do okay – that is, I know that it is more than that and try to communicate the richness of forgiveness and real union, true relationship with Christ. But, personally? I think I tend to let the gospel shrink as I live my own life. That is, it is easy to allow my gaze to be drawn by lesser attractions, and it is easy to go quiet in my relationship with God and start walking through the day apparently alone, and it is easy to start to see myself as just a sinner saved, technically, legally, in my status, by God’s wonderful justification. I don’t think this is what it means when it speaks of continuing in the grace of God. I certainly don’t think this is what it means to be filled with joy and with the Holy Spirit. The Gospel is amazingly good. The world needs to hear it. And as we live out our Christian lives, our hearts need to hear it too. and His people is marriage. We have certainly mentioned this before on this site. 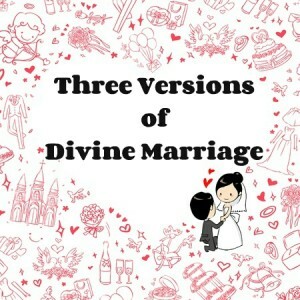 God’s great plan is to call out a bride for His Son from a fallen and sinful humanity. God’s great promise throughout the Bible is that you shall be my people, and I will be your God. 1. The Legal Marriage. In this version of marriage, the focus is on the legal status. She was given an opportunity to trade in her problematic past for a new name, a new status, and a new set of benefits. Her past debts were wiped when she said, “I do.” She really appreciates all that her spouse did for her back then, and she tends to look back to the beginning of the arrangement. On anniversaries and perhaps many other times during the year, she looks fondly at the marriage certificate and remembers her status change. Legally she is his and she is thankful. She spends her days trying to follow his instructions and she looks forward to the day when he returns from his business trip (he is working on a building project for now). When he returns she hopes he is satisfied with how she has performed in his absence. 2. The Mythical “Marriage.” This shouldn’t really be called a marriage, more of a chase. There is this absolutely perfect and amazing being out there and I am chasing. It is a bit like the Bible has hinted at a possibility, and others have spoken much of the offer of a blind date with a supermodel of a God. So I chase. I know that if I can just find the right conditions, if I can just get myself into the right state, then maybe, well, there will be this connection. It will be so amazing I won’t be able to describe it to you. I don’t know if it will happen, but I will chase hard. In fact, I may end up pretending there have been some mini-encounters just to fit in with others who are chasing the same mythical mystical union, but who hint at more success in their quest. 3. The Beautiful Marriage. Two people met and he pursued her heart. She knew she wasn’t deserving or beautiful, but she became convinced of his love for her. She found herself trusting him more and more, loving because she was first loved, and responding with delight at his proposal that they spend the rest of their lives together. Legally their union transformed her status, removing her debts, giving her a new name and identity. But her gaze is not on the marriage certificate. Her gaze is on her husband. Her ears and heart are always open to hear his heart speaking through his words. It isn’t just her status that is changed. She is changed. As the years pass she becomes more and more beautiful. It doesn’t seem to be that he loves her because she is beautiful, but that she is more beautiful because he loves her. There are “firework” moments of connection, but they are like the icing on a good cake, they aren’t the whole thing and they aren’t the focus of a constant chase. A lot of the marriage is spent in the nitty-gritty realities of daily living, of companionship and conversation, of living through the tough times together, as well as the good times. It truly is a beautiful marriage. So What? God made marriage a picture of his relationship with his people, a picture for the world to see and be drawn toward. But does God want the world to be pondering all three types described here? Is it any surprise that the enemy seems to work to fill the world with people chasing the elusive experience for the pseudo-marriage of a mythical ideal union? Is it any surprise that many marriages are corrupted into a purely legal status change that lacks any real intimacy, union or relationship? It is the beautiful marriage that God is both using as his illustration and offering us in his Son. Legal? Of course. Ecstatic? Perhaps at times. But profoundly relational, hearts bonded, shared lives, intimate by communication at the heart level, united by the Spirit into a wonderful oneness. Think about what human marriage could be and should be, then consider the implications for what Christian faith could be and should be. I am my beloved’s and he is mine – what a delightful privilege! near somewhere, there is a church. I won’t describe the building in any detail because this may cause you to either disassociate yourself from it and start pointing the finger at others, or to feel like I am pointing my finger at your type of church. Let’s just say it is a church not unlike yours or mine. The church building sits between two other buildings. As you come out of the doors, to the left, there is a nightclub. The building is unused most of the week, but everyone knows what it is and what happens there a couple of evenings each week. To the right of the church, there is a gym. It is a nice, clean, modern, glass-fronted building. It is clear what happens in there. Day and night rows of men and women strive to be a better them. Treadmills and cross-trainers and rowing machines in rows are often half-filled with people trying to compensate for overfilling during the Christmas season. As you look at it, there is the gym, the church and the nightclub. Like many churches, the conversation over the years has included concern over worldliness creeping into the church. At various points there have been discussions, sometimes quiet and in gossipy-tones, other times vociferous and contentious. Some of the discussions have included whether choruses are appropriate or a worldly compromise, whether amplified music is appropriate in a church, whether people should dress up in their Sunday best in order to attend, whether it is appropriate to dance during worship, etc. Some have even suggested having the nightclub so close might be an attack of the enemy. As the conversations have gone on over the years, everyone has been aware of the danger of “turning left” out of the church and moving in the direction of the nightclub. It has become a figure of speech for some in the church. Others have pointed out that actually the nightclub may be a venue where bad things happen, but the church should be trying to reach the people in the nightclub, rather than fearing some sort of worldliness by osmosis. Whether paralysed by fear, or eager to engage, everyone in the church knows that worldliness involves turning left out of the church door. Or does it? What if a preacher were to be preaching through Colossians and come to the end of chapter 2? After all the tremendous material about the person and work of Christ, the One who is the very mystery of God embodied. After the wonderful exhortation to walk in Christ in the same way as he was received, then the warnings about not being captured by worldly philosophy and empty deceit. After the description of his victorious death and its open triumph over the forces of evil, finally the preacher gets to the latter verses of chapter 2. How can Paul talk about such things and refer to this as being worldly? With Christ they died to “the elemental spirits of the world” and now, as if they “were still alive in the world,” they are submitting to such regulations. What if the preacher pointed out that worldliness doesn’t only move in one direction? What if turning right out of the door were equally a picture of worldliness for the church? In fact, perhaps turning right is the bigger danger? After all, one could argue that many church folks would find the nightclub unattractive for a host of spiritual, personal, and cultural reasons. But what about the gym? Striving to be a better me. Working hard to achieve my goals. Doing what it takes to look better in front of others. Making the effort to overcome my comfort preferences to do the right thing. Am I describing the gym or church? If we are not careful, our churches can have a lot in common with gyms. Environments framed in language of determination and effort (compare and contrast the self-determination commitment language of many sermons), sometimes places where personal image becomes more important than genuine vulnerability, even a programme that people endure despite their personal comfort preferences for the good that it will do for them. We must beware of a simplistic understanding of worldliness. 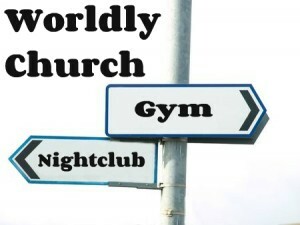 In the parable presented here, the nightclub and the gym are both pictures of ways the church can shift from the focus. One way is to move toward pleasure seeking. The other direction is toward prideful striving. Call it the younger brother option and the older brother option if you like. Either way, the focus is always on me. But Paul underlines that there is no value to be found in looking to me for the solution to the problem of me. Instead, let’s be sure our churches are communities with hearts set on Christ, who is our life. Let’s together seek to wear his character and not the garb of our worldly nature…either sort. cordiality when you needed love? At one level it is hardly high theology. I imagine most people in most churches could complete the sentence: “Love one . . . ?” But sometimes the love that we settle for is less than the distinguishing characteristic of God Himself. Sometimes the love that we share in church is not qualitatively different than the love we might experience at the Rotary Club, or the Golf Club, or the knitting circle. Call it love if you like, but perhaps it would be better described as cordiality, politeness, niceness. I wonder if you have experienced cordiality when you needed love? Perhaps fears from job insecurity, or the hurt of broken relationship. If you dare to share something that isn’t superficial, only to receive cordiality in return, it can really hurt. Plastic niceness never feels life-giving. Hurting in a community marked by plastic cordiality can be a terribly lonely experience. In his epistle, John keeps reiterating the importance of genuinely loving one another, in line with how God has loved us. He writes of the Father loving us and sending His Son as a sacrifice for our sin. He writes of the Son laying down His life for us. He writes of the Father giving not only His Son, but also His Spirit to assure us of our union with Him. The love of God is so essential to who God is that he twice writes that God is love. With God Himself as the definition of love, not only in His Trinitarian fellowship, but in His self-giving, self-sacrificing love toward the undeserving, John urges his readers to continue to love one another. After one of these calls, in 3:11, he zeroes in on the murder of Abel way back in Genesis 4. He ties that to the hatred his readers would feel from the world. Why the connection? Because love is not only central to who God is, but also it was central to how we were created. The Fall in Genesis 3 did not simply lead to some lawlessness on an otherwise neutral or positive planet. The Fall turned God’s love-driven creation into an upside-down world of self-love and competitive hatred of others. Adam and Eve used fig leaves to try to hide their shame and fear, but their son went all out and murdered his brother in a competitive rage. So in a hate-filled competitive world saturated, steeped and soaked in the vinegar of self-love, how can sinners like us even know what love is? “By this we know love, that Jesus laid down his life for us.” The cross not only addressed the wrath that we deserved, it also functioned as a wake-up call to us in our self-obsession. We have seen the purest and most potent demonstration of true love, God’s love, and our hearts that were dead toward God have thus been made alive! John immediately follows the description of Christ’s love with a reminder that we ought to therefore lay down our lives for our brothers. It makes sense. If that kind of self-sacrificial love defines our God, then it should define those who respond to it and are united to Him in a mutually abiding relationship. In theory, I am onboard. Yes, indeed: loved like that, I should now love like that. But . . . two problems. First, although loved like that, I still seem to be soaked to the core in self-love, so that plastic niceness seems to be all I can muster in my efforts to love others while continuing to prioritise protecting myself. I think that is part of the reason church exposure is not always as life-giving as it should be. Nearer the end of the fourth chapter, John addresses the role of the Spirit who gradually transforms our fearful hearts by God’s perfect love. Second, in theory I am fine with laying down my life for my Christian brothers and sisters. I’m not quite so keen to turn theory into experience. Don’t miss where John goes immediately in 3:17. After calling believers to lay down their lives, he immediately becomes eminently practical. He doesn’t just, or even primarily, mean substitutionary and vicarious martyrdom. He also means laying down possessiveness to provide for each other. He means practical love, not just theoretical talk. Pondering that kind of practical laying down, I thought about five possible practical means of loving one another . . . Laying down possessiveness to give away our time, resources and energy for the good of another. Laying down prideful masks to show vulnerability and weakness to support another. 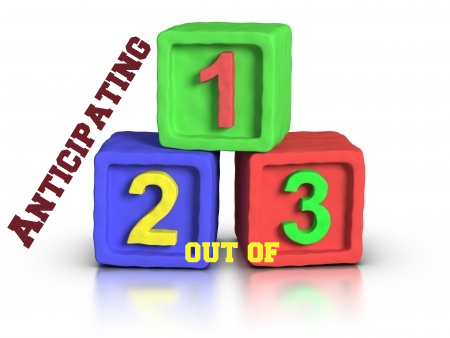 Laying down position on the pecking order, to esteem and celebrate the way God made others. Laying down personal preferences, to prefer the interests and needs of another. Laying down past pains and our record of wrongs, to release from grudges and lingering debts that maintain distance from another. Earlier this year our family suffered a heart-breaking loss. 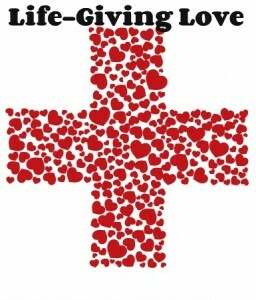 I praise God for a community of believers who have laid down so much to love us and care for us. Plastic niceness and cordiality would have been crushing. In the midst of grief, to be genuinely loved by brothers and sisters in Christ is indescribably life giving. whatever challenge you or I might be facing. I think most of us readily believe that. And yet His great strength sometimes is not the comfort we think it should be. Why? Seven centuries before Christ, Judah was facing disaster. King Hezekiah had welcomed envoys from a little city-state to his little nation and had tried to make his little nation look big to them. But he left God out of the treasury tour. So Isaiah informed him that that little city-state would become a major force in global affairs and little Judah would be carried away into exile by them. Hezekiah didn’t seem to care, because it would happen after his own lifetime. But those with a heart would have cared deeply. This was disastrous news: away from the land of blessing, away from the place of promise, away from the temple, etc. Devastating news. Christmas narrative with a whimper? Other sections of his gospel finish with strong summaries, so why not the first two chapters? Why have a great story end with some geographical details, an obscure reference to an unidentified prophecy and a comment about Jesus being called a Nazarene? 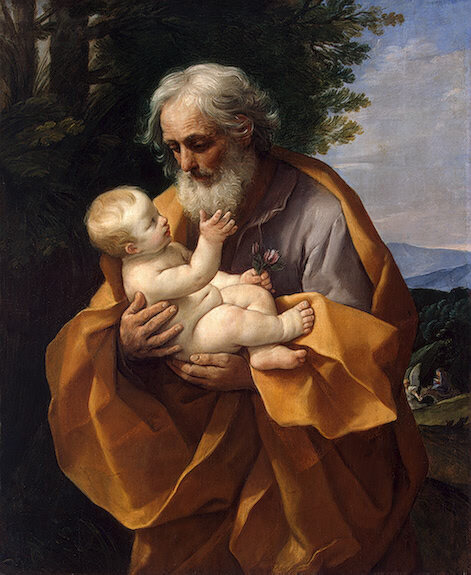 After fleeing to Egypt, another angelic visit prompted Joseph to return to Israel. Herod’s replacement was a frightening prospect, so rather than heading back to Bethlehem, another dream directed him back home to Nazareth. Nazareth – Joseph knew what would face the family in the hometown where everyone knew this couple so well. How would he rebuild his business when everyone doubted his word on family matters? How would Mary face the snickers and gossip that would accompany the return of “the virgin” with her little surprise? Matthew finishes the story with a flurry of place names: Egypt, Judea, Galilee—that is, “Galilee of the Gentiles.” This Messiah was not just for the Jews, but for Gentiles too. Actually, with Jesus growing up in Nazareth, we discover that he really was for all of us. Nazareth was five miles from Sepphoris, the strongest military centre in Galilee. Nazareth was on a branch of the great caravan route to Damascus. For traders, soldiers and travellers, Nazareth was just a rest stop on the way to somewhere better. Essentially, Jesus grew up in Nowhere, Galilee. Was this the next best thing since God’s plan A (Bethlehem) had been thwarted by pesky Herodian rulers? Not at all. God directed Joseph so that Mary was brought back to Nazareth, and Jesus was brought up there. This meant that the Messiah born in Bethlehem would always be called the Nazarene. Was Jesus considered a Nazirite (Nazir)—a chosen holy one set apart for God’s service from his mother’s womb, just like deliverer Samson and the priest, Samuel? Certainly, Jesus was the Messianic “branch” (Neser)—the Davidic branch of Jeremiah 23/33, who would reign in righteousness over the earth; the branch who is a priest-king rebuilding the temple in Zechariah 6; the branch from Jesse’s stump anticipated in Isaiah 11 at the conclusion of the royal Immanuel section. Perhaps instead of choosing one idea over the other we have two of Matthew’s great themes converging: Matthew weaving together priest and king in describing deliverer Jesus. Again, Matthew brings us back to Isaiah’s Immanuel prophecy that had begun his sequence of fulfillments in chapter 1. Joseph called his name Jesus in chapter 1, and by the end of chapter 2 it is Joseph that brings him to Nazareth so that all would call him a Nazarene. Or was Matthew more directly and deliberately pointing to a location, rather than a subtlety in the name itself? I think so. Chapter 2 is filled with geographical locations. Perhaps another prophetic reference can come into play here – Isa.53:2. This offers no reference to geography, but uses the associated terminology of “a root” in underlining the lowly obscurity of this priest-king. Jesus knew the life of the poor, as is clear in many of his parables. Jesus experienced gritty human life. He was not sheltered in an ivory tower, protected from the “dross of society.” He lived in the dross and carried it as his label. Label – Jesus was a common name back then, so he needed an identifier, a nickname to distinguish him from the thousands of other Jesus’ of his day. Who was his Dad? That was complicated. What was his job? Perhaps too common. So where was he from? Nazareth became the label that went with his name. As we read through the gospels we see the Nazareth label used repeatedly. At the start of his ministry Nathanael reacts to Phillip – “can anything good come out of Nazareth! ?” A demon used the identifier of him, which he accepted. It was used of him near Jericho and again at the Triumphal Entry. At his arrest it was the label the arresting party gave, and that Jesus accepted. During Jesus’ trial, Peter was challenged with the accusation of being with the Nazarene. On the cross, the inscription carried the place name. After his resurrection, the two disciples on the road to Emmaus referred to it, as did the angel at the tomb! Even after his ascension, Jesus continues to bear the lowly label “of Nazareth.” Peter’s presentation on Pentecost culminates with Jesus as both Lord and Christ, but it launches with Jesus of Nazareth. The lame man is healed in the name of Jesus of Nazareth. Stephen’s accusers refer to it. Peter declares to Gentiles that God anointed and was with Jesus of Nazareth. Later we discover that Jesus used the label of himself when he appeared to Paul on the road to Damascus! This had been the name opposed by Paul in his days of Christian persecution, indeed, even Jesus’ followers had to bear the disparaging label in Acts 24. God with us, God like us. Immanuel, from Nazareth. God with us, not just near us. With us, like in “Nazareth with us.” Jesus of Nowhere, Galilee. He came to be with us, so that he could be for us. And he is forever with us, for he still carries the lowliest of labels. It was all part of God’s plan, that he should be called a Nazarene. What better way to climax the Christmas narrative than this. is a healthy and balanced one. If we can see one person off in one direction, and another off in the other, we must be the one holding the privileged position of balance. But maybe we need to take an often-overlooked factor into account. Ever since Genesis 3, humanity has been pickled in the brine of “like-God-ness.” It saturates every stitch of our being, and quietly, but consistently, pushes us toward positions of pride. Even as believers in the true God, we still live in these bodies, which with the world and the enemy, constantly push the false view of God and what it is to be like Him. As a result we will typically tend to view ourselves as impartial and somehow capable of adjudicating “healthy balance” based on our own perspective. But how small our perspective can be at times. I was recently driving with one eye on the Sat Nav / GPS. Suddenly my car was half off the road, at least according to the little screen. If I had assumed that the little screen cannot lie, then perhaps I would have been tempted to drive with two wheels over the verge of the road. That would have been bumpy and strange feeling, but eventually that could become normal. Imagine if all the little screens were consistently off by a few feet, and that drivers consistently drove with two wheels off the road. 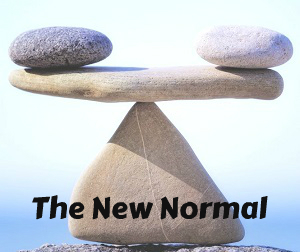 Eventually it would become the new normal. They might sell slanted booster seats to support the lower passenger and enable a more comfortable position for all. They might sell two types of tyre for each vehicle – the dirt tyre and the road tyre. Eventually lampposts would be moved and pedestrians would learn not to walk within three feet of the kerb. How long would it take for the on-road/off-road approach to become normal? Not too long if everyone did it. Then along comes someone with a more complete perspective. Perhaps someone who dares to challenge the little screen wisdom, someone who has studied the history of motoring, someone who has not read the older driving books with filters to only see what is currently normal. How would that person be viewed? Imbalanced. Dangerous. Obviously a bad driver. How often this has happened in the history of the church. Not so much with Christian driving habits, but with church practice and perspective. For a relatively brief season, a church or denomination becomes narrowly focused on one perspective of some issue. That issue may not be simply practice, polity or issues of preference – it could be the nature of the gospel itself! Finally when someone dares to challenge it, they are considered dangerous and imbalanced. 1. Continually remember that God is God and I am not, and I am happy with that arrangement. When we start acting as if we know all we need to know to make decisions about things, we are slipping toward the Genesis 3 God-like-ness again. 2. Recognise the flaw in assuming balance is always right. This has been unchallenged wisdom for close to a millennium now, but there are issues to be found with a pursuit of balance. As I sometimes put it, my wife feeds our children healthy food, but she never balances salad with bleach. Truth mixed with error is not balance. 3. Devour the Bible. Don’t just jump to your favourite proof texts, but read the Bible as a whole and listen as God continues to reveal Himself to you and teach you with gentle relevance to the situations you face today. 4. Be a reader. I don’t mean just reading books that fit within your set of preferences. Read widely. And read outside of the current generation. Often perspective from the past can shine a light on the narrowness of today. We enjoyed two days of Luther last week at Cor Deo – he is worth reading substantially rather than just in soundbites! 5. Break out of the bubble. It is easy to live in a little bubble of one type of church, one culture, one perspective. If we have opportunity to see something else, let’s take advantage. Well-traveled, well-read, biblically saturated, teachable and humble . . . and still we will tend toward driving with two wheels in the dirt. What would you add to this list? The Psalms tend to become more precious as life’s experience becomes more complete. To the younger person who feels invincible, the Psalms may feel awkwardly poetic. But to the one who suffers, Psalms sings precious and personal comfort. Take Psalm 56, for example. It is one of David’s, and it is one of the small number with a historical superscription. It was when he was seized by the Philistines in Gath – hardly a happy scenario. So as you read through the thirteen verses, you really get the sense of his struggle. Repeatedly he refers to his enemies, repeatedly stating that his struggles were “all day long.” Attacked, injured, plotted against and his steps watched by those waiting for his life . . . David was hurting. Understandably, David called on God to be gracious to him. Perhaps one of the reasons we struggle with Psalms like this one is that typically our struggles are with busy lives and the complexities of living in relative luxury (which form of entertainment shall I choose?) rather than the very physical and tangible opposition that David faced. Surely our hearts should go out to those brothers and sisters that face real and present danger in the form of persecution today. But for many of us, our challenges are not of that sort. 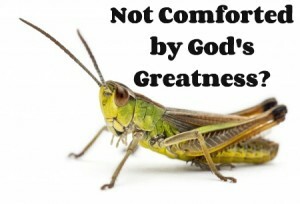 When afraid do we lean in to the graciousness of God? Last Sunday I was afraid. It was a small thing, but I was driving over a mountain pass as dusk fell, snow was coming down, the road was not cleared and there was a fog setting in. I knew that one poke at the brakes would send the car into a dangerous slide. The snow was fresh on the ground and there were no slushy tire tracks to follow in. My normally confident driving style became very hesitant as I slowed right down and prayed continuously for several miles. Actually, as small as that was, the experience was a precious one. Did you catch it? He refers to God throughout the Psalm. But in his reaffirmation of trust in God, he repeats a line with reference to the LORD. The God who makes promises and keeps them. The personal name of a God who can be trusted. In fact, David’s confident reassertion of trust in God is preceded by two very precious verses. Yet it is verse 8 that jumps out at me. Having called on God to cast down the peoples who were against him, and just before declaring his confidence that God is for him and will answer his call of prayer, we find verse 8. Perhaps this is the key to David’s confidence. Perhaps it could be key to ours too? If I pause before stating verse 8, I can speculate on what I might have expected. It is a Psalm by a human anointed to be king praying to the God who is king over all. I might expect a bit of a confidence boosting moment of motivation. “Since God is so strong, surely I must be strong too!” That kind of thing. Maybe a motivational thought from a drill sergeant dripping with sweat and stirring the strength latent within king David. Thankfully not. Verse 8 is incredibly intimate and personal. It is caring and parental. David leans into what he knows of God’s care for him. God keeps count of every time he changes position in fitful attempts to sleep. God keeps track of the volume of tears he has cried. That is not a call to be tough. Under great threat, the future king finds strength not only in God’s sovereign power, but also in his intimate care and concern. If God watches over us at our weakest, during those sleepless and tear-drenched nights, then surely we can be confident that God is for us. As a result our hearts are stirred and our steps feel more sure. Not only are enemies watching our steps, but so is the God who we can trust, the God who is for us. Repentance in Acts is not focused on what, but on who? I was recently preaching from Paul’s missionary journeys in Acts. As I was working with one of the passages I was struck by Paul’s use of the term “repent/repentance.” Since this is such a critical term biblically, I decided to study all the uses of the terms in Acts. In the Old Testament prophets, the verb “to turn” is used many many times. Their call was for the people of Israel or Judah to turn from their alliances with other nations, from their self-reliance, from their unfaithfulness to the covenant and to turn back to God. But what of the term in Acts? (1) You begin by finding every use of the original term, since a partial study can always be swayed by a selective personal bias. I won’t refer to the Greek terms here, although that is what I mean by the original term. In this case I recognized that there is an associated term as well. As well as to repent (verb) and repentance (noun), there is also the verb to turn used with significant overlap. (2) Once you have all the uses, then you can look at each one in its context and see how it is being used. I took notes in a chart that had a column for notes on what the turn or repentance was From, and what it was To. (3) Having looked at each usage in its own context, then you can compare and see if there is any pattern or consistency. This kind of word study could be called doing biblical theology of repentance/turning in the book of Acts. Was there anything to note? Absolutely. The term repent or repentance is used eleven times in Acts. The term turn is used in the same spiritual sense a further eight times (as well as some less relevant uses when describing the physical action of a person turning around – although there is consistency there, as will be shown). So with all that methodological introduction out of the way, what do we find? As ever with this kind of study, the process is very enlightening. There is great variety in contexts, from Peter preaching in Jerusalem, Peter & John responding to the Sanhedrin, and Peter reporting to the church on Gentile conversion, to Paul preaching in a synagogue to Jews, in Athens to philosophers, at Miletus to a gathering of church elders, and in his final trial in the book. Once you look at the term to turn, the dispersion of uses is even more complete – James at the Jerusalem Council, Paul to the Jews in Rome in the last chapter, etc. 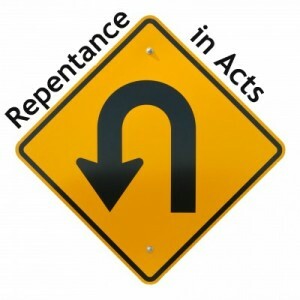 So looking at repentance in Acts, it is evident that repentance involves a turning from and a turning toward. It is a call to a response that has radical implications. But what is it a turn from and what is it a turn to? We might expect the From column to be filled with references to sins and behavioural issues. We might expect the To column to be filled with references to righteousness and doing good deeds, behaving well, etc. This is not what we find. That is, it is not what they turned from and what they turned to, but a much more relational turn. There are surprisingly few references to sins in the “From” column. Actually the repentance was largely about turning from a relational rejection of God. For example in chapter 3, Peter refers to the fact that they had delivered Jesus over, denied the Holy and Righteous One, killed the Author of Life, etc. In Athens Paul’s critique was not of the fruit of their sin (i.e. behaviours), but of their ignorance and making god in their own image. Twice John the Baptist’s message is referred to, but again, repentance is used to point to a relational issue – the need to turn to or believe in the One coming after him. While it is necessary to dig around in the context to ascertain what should go in the “Repent From” column, the “To” column is even more striking. Ten out of eleven uses are clearly pointing to a turn to a person. Sin of rejection and sins of behaviour are forgiven in the turn, but the turn is to God. It is not to right behaviour. Paul in Athens, for instance, doesn’t call them to turn from bad behaviour to good behaviour. He calls them to turn from a wrong view of God to instead seek God and find God. Repentance is a relational turn from darkness to light. Almost half of the time, it is connected with receiving the Holy Spirit – again a highly relational concept in terms of salvation, for the Spirit is the promised gift from God, who bonds believers to God by a relational union. Ten out of eleven implies one exception. There is. In 26:20, Paul is on trial and in his presentation of repentance he offers a cluster of both terms. In the context of the relational turn from darkness to light, from the power of Satan to God, etc., he also includes the fruit of that relational turn: performing deeds in keeping with repentance. A quick look at the use of “turn” in the salvation/gospel context shows another eight uses that are all relational turns – that is, a turn to the Lord, to God. Repentance in Acts is a thrilling study. Seeing lives transformed always is. But let’s be careful to see what is actually written, rather than imposing an alternative view. 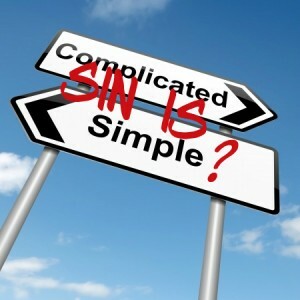 When someone turns from sins to live a better life, that may be a good thing. But the gospel as seen in Acts is not about God-empowered resolutions as rebels become religious in their behaviours. The gospel in Acts, as seen in a study of repent/repentance/turn, is radical relational transformation as God-haters/rejecters turn to Him and become part of the fellowship of God’s people, united by God’s Spirit, to Christ. And the fruit of that turn has transformed the world! The Bible is so real about the devastating effects of sin. It is also full of promise to stir the heart. But how do the two fit together in the now? Do we simply have hope for the future, or is the gospel good news for today as well? I suspect that others may have the same struggle I have felt with this. It is a glorious gospel, but it can feel so flat at times. Let’s review the problem and the solution, using Paul’s thoughts in Romans 8. In the day they ate of that fruit, death began to creep through every human body too. We feel it, we anticipate it, and if we have experienced the loss of a spouse or close one, we know the agony of death in a way that nobody can understand who has not been through that too. In the day they ate of that fruit, they died spiritually, and they died instantly. The Spirit was lost, the heart became hateful toward God and death was felt instantly. They were offered godlike status. They received awareness of nakedness. This is not the body of a “god.” So they started to fig-leaf, and to blame shift, and to hide, and to fear. One day, in the future, sin will be wiped away and God’s children will be fully free of sin, even in their environment! But now we don’t experience that. It is still future, but just imagine how wonderful it will be to live in a non-death environment. One day, in the future, we will experience the redemption of our bodies. What a relief that will be! It is still future, but imagine how amazing it will feel to have a body working as God designed it. Today, right now, we are able to experience the new creation as we have the first-fruits of the Spirit. First-fruits, because the rest is still to come. First-fruits, because we already have the Spirit now! How amazing that we have the Spirit who is the life and love of God dwelling in us already, if we are Christ’s! We already have spiritual life because we have the Spirit communicating God’s love to our hearts, and searching our hearts to communicate to God what is within us. But creation life and physical life are still to come. We still live in a fallen world where death reigns. We still live in the flesh that is utterly pre-programmed to self-love and rebellion. But praise God, that inclination of the heart, that Spiritual life within, is just the first taste of all that is to come. So Christianity certainly does offer hope for the future, but it also sees that eternal life as beginning right now. I wonder if some of us have settled for mere anticipation combined with certainty of our wonderful legal standing, but perhaps have missed something of the richness of knowing and loving a loving God today? The invitation is not a mysterious experiential goal, but a warm invitation to pursue God in the Bible and commune with Him by the Spirit. Romans 8 is a great place to spend some time and ponder this three-fold fall and redemption (esp.vv18-25). There is more to come, yet what a foretaste of glory divine to be both washed in His blood, and born of His Spirit, now.